LadyвЂ™s mantle is a perennial plant, durable, strong, bushy, up to 50 cm. Has a distinctive star crimp, fiber leaves, with 7 to 11 semicircular chopped pieces. 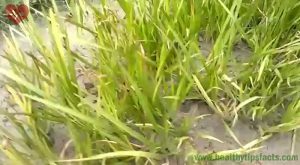 The edges of the leaves form small droplets of water that in the sunshine, and occasionally gather at the bottom of the sheet, creating a large drop of water that in the sun shines like a pearl. Alchemists of the middle Ages saw a liquid from which you can make gold, and therefore began to collect this plant, and gave him the name Alchemy. Flowers are small at the top of the plant, collected in the form of a shield, yellowish in color, odorless, and the taste is slightly bitter. LadyвЂ™s mantle grows in moist mountain meadows, beside forests, along mountain streams and rivers. 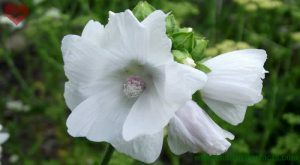 Blooms from June to August, gathering the entire plant or just the leaves. LadyвЂ™s mantle is widely used in folk medicine. In ancient Germans it was a greatly appreciated herb and was dedicated to FRIGG, goddess of nature and fertility. 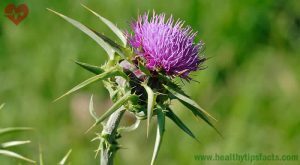 In folk medicine and phytotherapy itвЂ™s used as a mean to stop bleeding from internal organs, uterus and hemorrhoids. Especially good for stopping bleeding from the uterus during heavy menstruation, against vaginal dischrge and diseased ovarian cysts and HPV. Externally, ladyвЂ™s mantle tea is used to gargle for diseases in the mouth and throat for treatment of wounds from a tooth removal, wounds caused by childbirth. Also ladyвЂ™s mantle can be used as a mean to strengthen the muscles in young children in the form of bath. 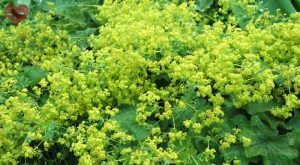 In folk medicine ladyвЂ™s mantle is also recommended for edema, anemia, disability of the stringer, rheumatism, gout, diabetes and strokes. Elder grows as a bush, up to about 5 meters height. 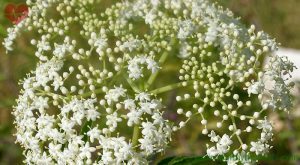 Leaves are featherly separated, and the flowers are white in umbels and have a pleasant smell. The flowers can be used for medicine while the fruits and roots rarely. Elder can be used for treating diseases of respiratory diseases in the mouth, flu, colds, fever. 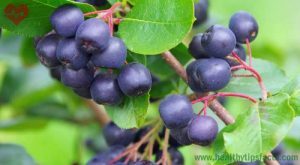 It can be used as a means of sweating and diuretic in kidney and bladder, constipation. Also elder may be used in swelling of the body (as compresses). Elder is useful as a means to increase milk in nursing mothers.